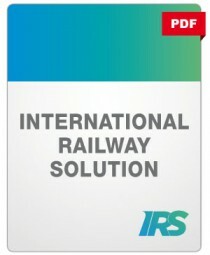 This International Railway Solution specifies the technical requirements applicable to interconnecting gangways and the inspection rules for interconnecting gangways of locomotives and passenger vehicles. The safe use of the gangway system by passengers and/or staff while the train is running. Assessment methods, and pass/fail criteria for gangways installed on vehicles.